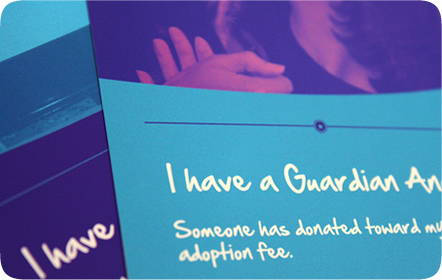 Since 1952, The San Antonio Humane Society has served Bexar County and its surrounding areas by rescuing and caring for thousands of animals that have been injured, abused or abandoned. They needed inexpensive, practical pieces that could serve multiple purposes both in and out of the physical location. 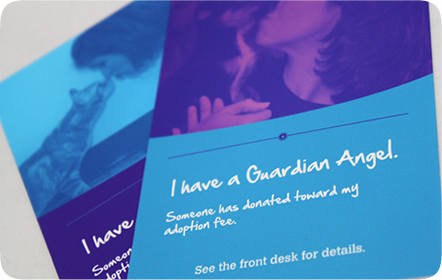 Many of the print pieces we produced for The San Antonio Humane Society have been used within the shelter. 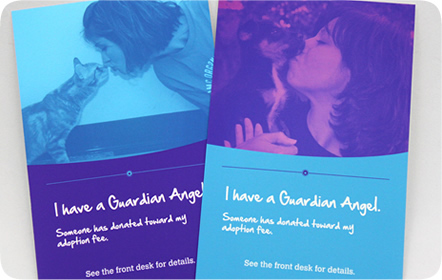 The kennel tags for the dogs and cats in the shelter hang on the door, letting adopters know some of the adoption fee has been covered through donations. 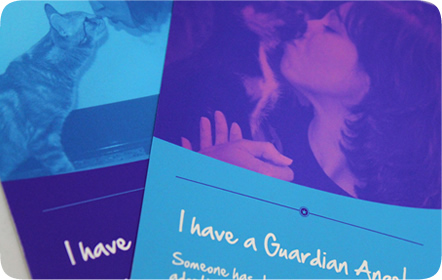 The folder, featuring pictures of people and their pets, would be used to hold paperwork, brochures and information for both volunteers and adopters.